Today I took Ella to get her hair cut, evened out, blended, I'm not really sure what to call it but it is a vast improvement! If case you guys missed my previous post, here is a before and after. I was so surprised and impressed with how much length she kept on Ella's hair. 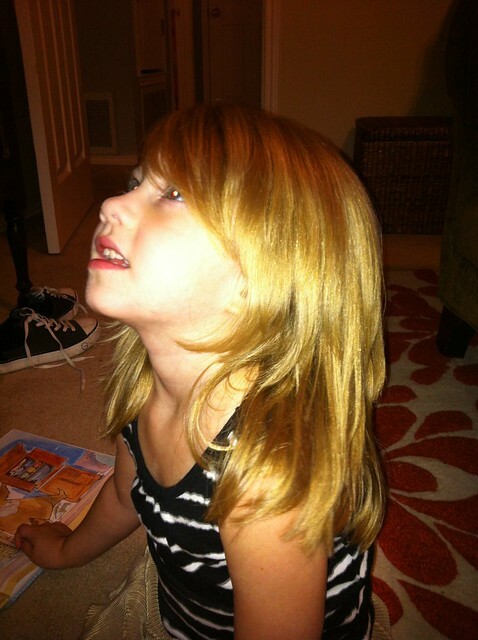 She did lots of long layers, gave Ella some thick bangs and blended all the blunt cuts. It is very much a hairdo. 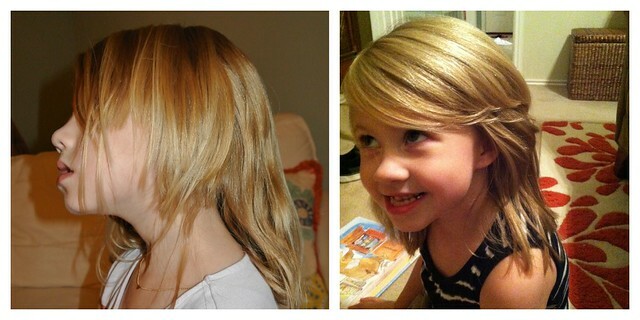 Ella has been longing for her hair to grow long again so I know she is a little sad about this set back. As I tucked her in bed tonight she said, "mom, I like my haircut a little bit, but just a little bit:)"
Today was our first day of no tv for Ella. It took me a while to get used to it and made me realize how often I turn it on. It was so good though! I might not be saying that in a couple of days but I really enjoyed a tv free house today. McKenna is still sick so we never left the house. We were very productive. Painted the front door, cleaned out Ella's drawers and crafts galore. 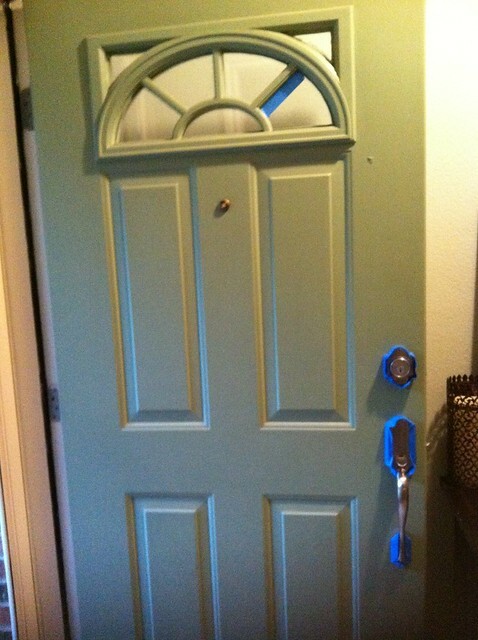 Painting my front door has been on my to-do list ever since Kristen painted hers. I have never loved the sea foam green our door was. 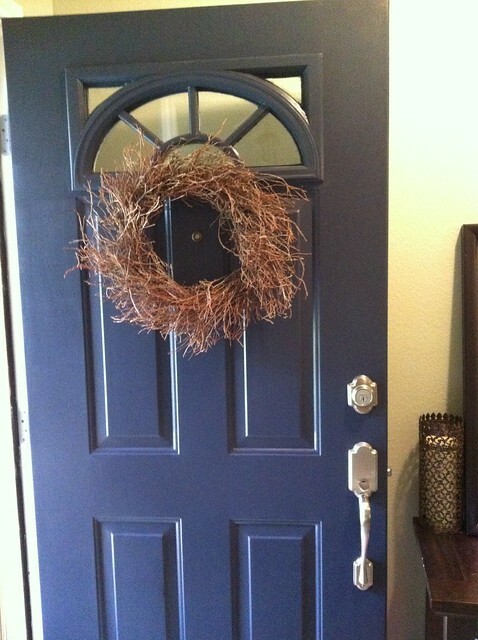 I painted it Benjamin Moore Hale Navy and I love it. Sorry for all the blurry phone pics, hope everyone has a wonderful week! love that front door & ella is so darling! 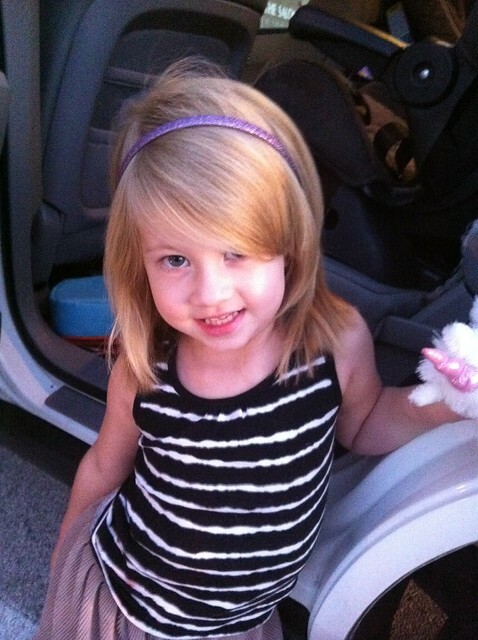 she has such a cute haircut. hope mckenna feels better soon!